High anxiety and simmering anger. That’s what many Australian artists have been feeling in a holiday season of enforced rest and little to celebrate after careers have been disrupted by an Australia Council funding round that went missing in 2015 and dismally low success rates in grants announced at year’s end. Some of us over the break read the draft A Charter for the Arts. Put together by a group of concerned artists, it’s an attempt to assert in one document the rights of Australian artists and audiences. It’s a hard call in a country where there’s little federal political interest in having A Charter of Human Rights and Responsibilities [Victoria has its own], let alone A Charter for the Arts. But it could become a great advocacy document, as its creators intend, so that every time there’s a rupture in the relationship between government and the arts, artists don’t have to re-assert their rights (with the appropriate supporting material) over and over again. Read it now and put in your two bob’s worth—if you have that much left in your budget—by 31 January. 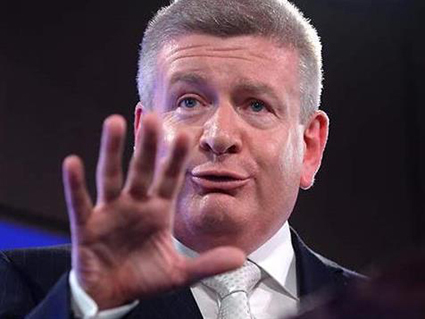 Despite media coverage, protests, a petition and an astonishing number of submissions, Arts Minister Mitch Fifield pre-empted the Senate Inquiry into his predecessor’s National Program for Excellence in the Arts [NPEA] with the announcement of its retention. He re-branded it as Catalyst—replacing the nebulous ‘excellence’ criteria with a title that suggests innovation, something that the Australia Council has already long favoured in its support for the small to medium arts sector. This further reminded us that Catalyst is to be an ideologically corrected duplication of the Council. The Fifield argument that there should be more than one federal arts funding body totally ignores the current diversity of funding options in the federal/state/local government model and across-the-board arts support from other federal government departments. That’s already complex. Artists will doubtless feel compelled to apply for grants to both the Australia Council and Catalyst. More work. It’s depressing. Just as depressing has been the dissenting report from Government Members of the Committee (see Raymond Gill, “Senate Arts Inquiry: 20 extraordinary, self-serving statements you need to read from the Government,” Daily Review, Dec 4, 2015. Subsequent quotations are from that article.) Insulting and predictable ‘culture wars’ posturing resurrects old criticisms of the Australia Council (entirely ignoring the positive 2012 review of the Council by merchant banker Angus James and corporate communications expert Gabrielle Trainor). It claim that artists are self-interested (“the evidence provided to the inquiry came, almost without exception, from artists and arts organisations who have a vested interest in attacking the government’s budgetary efficiencies”), that they have an “unhealthy sense of entitlement,” and had written submissions not of their own making—“many peak groups…actively encouraged and assisted with the wording of letters of concern to the inquiry.” And why not? It’s a democracy with a right to unite. It was emphasised that “[t]he arts sector could not be said to have been asked to perform any ‘heavy lifting’” to meet the demands of an austerity budget. This latter nonsense conveniently ‘forgot’ the $28.2m already slashed from the Australia Council in the 2014 Abbott government budget. More to the point, if austerity budgeting is the issue, why didn’t the $105 million seized from the Australia Council in 2015 go into general revenue? Instead it’s being kept by Minister Fifield who will doubtless fashion policies to determine how the money will be spent and which his assessment panels will duly abide by. It appears that writers are the ultimate victims of the austerity purge—the $6m appropriated for Senator George Brandis’ still-born Book Council has gone into general revenue! One way or another this will be ministerial vanity funding, direct interference into art-making in Australia and a strike at the heart of the separation of powers—of the state from art, as well as from religion and the judiciary. The implicit removal of the ‘arm’s length’ principle in Catalyst and the serious financial weakening of an independent statutory authority, the Australia Council for the Arts, are profoundly worrying. They amount to nothing less than an assault on democracy and the relative freedom of the arts. How will the wishes of taxpayers be gathered, analysed and understood? Will Australia Council research be duplicated or will Fifield “guide departmental operations” to get the ideological outcomes he wants? And who is making policy in the Ministry for the Arts? Is it ‘senior arts policy advisor’ Michael Napthali whose hostility to artists outside the major arts organisations was reported by musician Claire Edwardes in 2015 when Napthali was working for George Brandis? Napthali’s been moved from the arts Ministry into the Prime Minister’s Office as arts advisor, not a good sign for those who’d hoped for an enlightened response to the arts from our new leader instead of the carry-on of the culture wars.